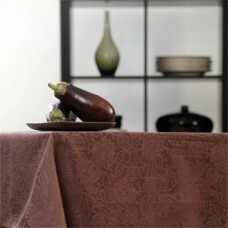 This elegant table linen creates a casual approach to everyday living. Regal Table Linen has a wonderful feel which will add a touch of luxury to any indoor table setting. Available in a variety of tablecloth sizes as well as matching napkins.